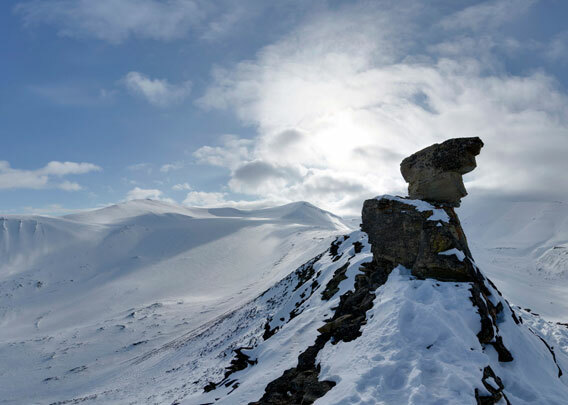 The mountain ridge Sarkofagen is 500 metres high and situated a few kilometres south of Longyearbyen in the upper Longyeardalen, between the glaciers Longyearbreen and Larsbreen. 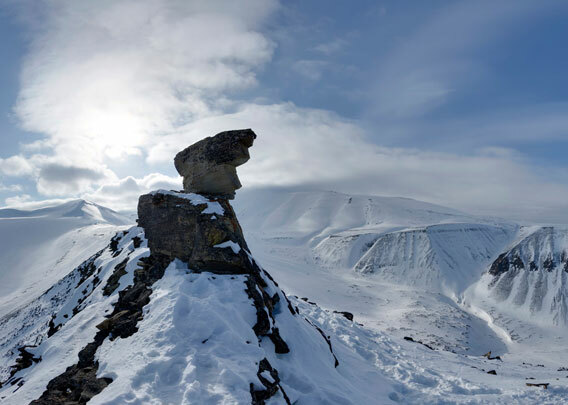 Sarkofagen is quite prominently seen also from downtown Longyearbyen, and the view from there easily explains the name, which translates as “the coffin”: the mountain has a similar shape. 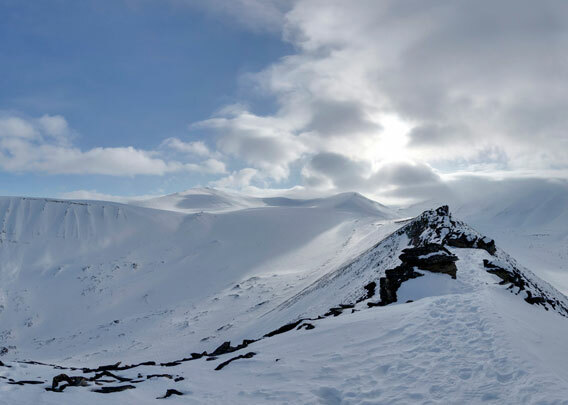 Despite the rather grim name, Sarkofagen is a very popular destination for a hiking or skiing outing from Longyearbyen, and the 360 degree panoramas below will show why. The mountain ridge Sarkofagen divides the valley Longyeardalen south of Longyearbyen in 2 branches, which are filled by the glaciers Longyearbreen and Larsbreen, respectively. 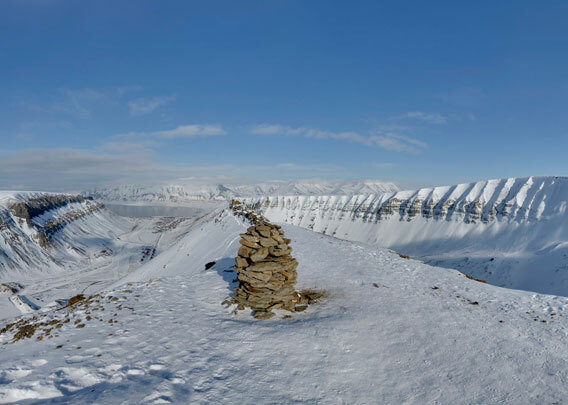 From Sarkofagen, you have a great panorama view over Longyearbyen and its surroundings.